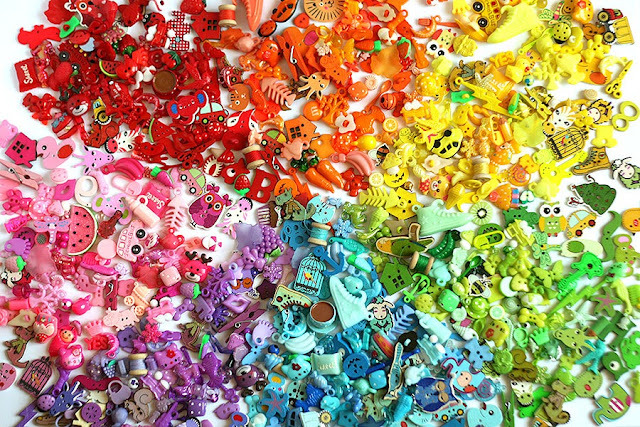 Rainbow set of miniature trinkets in shape of animals, bugs, transportation, clothes, nature, food, games and many more. 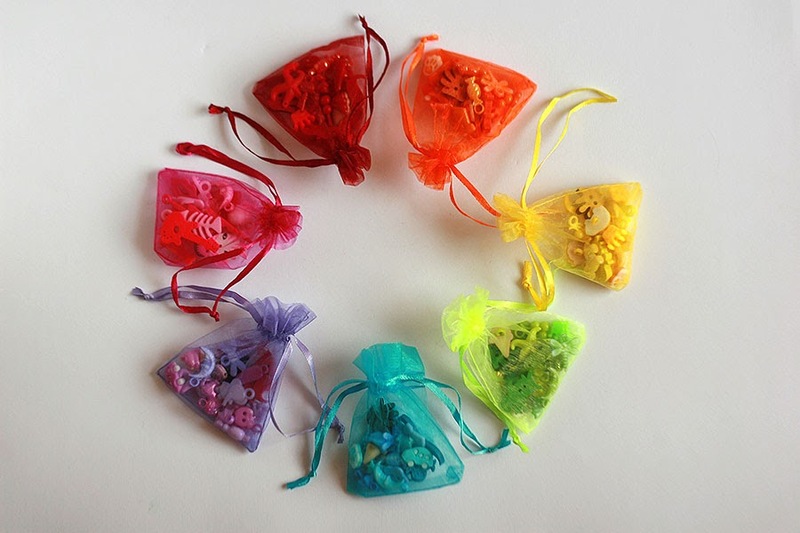 Great for rainbow I spy bottle/ bag and other games and crafts. Only different trinkets in one color set. In different colors the trinkets may repeat.